So, the first Toy Fair of the year starts tomorrow! Anyone else excited? Im assuming Brickset will have some coverage posted tomorrow, and I can't wait to see it, I'm so excited! It's not worth getting that hyped up yet. The London fair never allows photos, so we'll just get a lot of hasty notes and descriptions. I think the Nuremberg one might be the same way, although I swore I saw pictures from a toy fair before the New York one, suggesting Nuremberg is really the fair to get excited for coverage! Nuremberg allows plenty of photos. 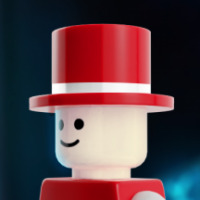 Is the Brickset team gonna do coverage of the London one? Hope they have more planned for Doctor Who....it kind of felt like they did. London would be a great place to introduce that. YES!!! That would be great. I was so disappointed that they only did the witch for Dimensions. Love all the designs they have in there. I like that they don't do pictures at the first one. Gives more time to savor the suspense. Huw, CapnRex and myself are going today! Try to let us down easy when the gas station ends up retailing for $30! Can't wait to see what LEGO has instore for us during the second half of 2016! Those upcoming sets will determine if I pick up '75827 - Firehouse HQ' or not. Fingers crossed for more Doctor Who, Simpsons and Super Heroes sets based on upcoming movies. I really hope we get the return of the LEGO Harry Potter theme with the release of Fantastic Beasts & Where To Find Them in November. Much like LofR and the Hobbit. Exciting times! Even if we only get descriptions from London, it helps build anticipation for when photos start appearing from Nuremberg. Lots of interesting things, but no USC Star Wars Hoth news? This is what I am waiting for. Also too bad it's a Friends rollercoaster, and not a Creator-themed one. I am curious to see the Volcano theme, and the Airport Terminal. Without even seeing it I'm just gonna assume the roller coaster is not what we were hoping for. Maybe it will be a decent base so that 2 or 3 sets together will make a good coaster. At the price listed, 3 would be about the price needed for a proper one (~$400). Ucs sets aren't typically promoted at the toy fair since it would a Lego exclusive. I'm looking forward to the spiderman characters: hobgoblin, vulture, scorpion, spider girl, scarlet spider. All the spiderman variants should rival batman and iron man some day. Ghost rider is also nice. lots of great new characters for both marvel and dc! too bad there's not too much news about the figures coming with the star wars sets.. Heading home now, head buzzing with everything we've seen! For me, overall very few disappointments and a lot of pleasant surprises. I will be gathering my thoughts into coherent sentences that will be subsequently posted on the home page. I will say that my main focuses were on Friends, Disney Princess and Elves, though there were also Creator, Superheroes and City sets that interested me. Wow - £250 for the big technic supercar? Superb, I hope it's worth it and not just licence costs. only 4 figs in the volcano castle? can't say nexo knights sets are generous with minifigs. Jestro, Burnzie, Lavaria, Axl, Lance, and I think a few more actual figures are included. Promobricks on other forum says, that real price for supercar is 179£ and for bucket wheel excavator is 249£.Brickfanaticks probably made mistake. Ah thanks. That might make sense. Although BWE will be a great model, I would have preferred them to go all out on a supercar. Not sure how much play value there will be with the BWE. They would've had me at "largest ever Technic set", but I'm also super-excited for the volcano sets and the OTHER volcano set in the Nexo Knights theme (volcanoes for everyone!! ), and the Creator stuff sounds nice - I like how they're focusing on including brick-built animals in sets like the lighthouse. It's sounding like a must-buy for me, which is great news considering that I didn't buy the last one at a sensible price when I had the chance. Huw has confirmed BWE at £180 and Supercar at £250. 31052 Vacation Getaway sound like a have to have for me. and if it a good as it sound i will be getting more then just the 1 copy. 42055 Bucket Wheel Excavator. sounds good. may get it. 42056 'confidential super car. also may get it. still there are more info to come. so dont know if any new star wars set's to add on. looking forward to getting image for this stuff. is going to be added to my list. non of the other jump out at me at this time. That is what the labels said but given the BWE was massive and 3000+ pieces and the car relatively small it would not surprise me if they were juxtaposed. @Toc13 - my report on Disney Princess, Elves and Friends is now up on the home page; along with Huw's report on City, Creator and Technic and Chris's report on Star Wars. 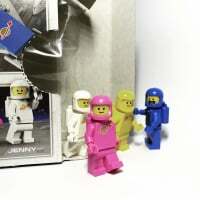 My notes on the City "Fun in the Park" minifigure pack have also been added to Huw's report. Just read it...& added another few sets to the wishlist. i am not a Friends fan. but the Amusement Park sub theme may be calling to me. would the hot dog stand be the most popular set ever if it had minifigs? what would i do with the mini-doles? Sell them? Donate them? Recycle them? The mini-doll hair will fit on a minifigure, so you only have three parts per figure that you can't use. Depending on picture I want one for my minifigure city. Where's the report on Nexo Knights? The one with the Clay pic had bionicle and city, technic. @LostInTranslation A minidoll for beast? Bleh. He should get a bigfig treatment. I understand it's in the princess line so I guess that'll never happen. Wishful thinking; Lego making Beast's cursed castle littered with gargoyles. Segue to Gargoyles: The Heroes Awaken. Hah. ^Also, isn't fifi the feather duster Lumiere's involved with? Lol it sounds like a great set since the furnitures are brought to Lego life. so... was the gas station not there or was it just too terrible to speak of? The gas station wasn't there at all - probably retailer exclusive. I didn't see any gargoyles on Beast's castle. There was one of the large lion-face bricks in the central facade above the gateway. ^Ok thanks. Retailer exclusives tend to be $40-50 in range so could be interesting. A big fig would be too big in comparison to Belle in my opinion getting . Beast actually has quite slim legs but a large torso from my recollection of the movie, so a large moulded head is probably the best solution - as long as it fits on a minifig head too! Impossible to say whether it will go over the minidoll head or be attached directly to the torso neck, as the fig was not actually there to see.